SevenVentures will award an extremely lucrative prize to the most innovative, groundbreaking American business. 7VPD is on the hunt for innovative consumer goods companies with physical products who are already successfully established in the U.S. market and ready to expand into the German and ultimately the European market. ProSiebenSat.1 Group will support the winner with advertising power on its seven free TV channels, its extensive network in the retail sector as well as further group synergies such as cooperations with online platforms. SevenVentures, the investment arm of Germany`s largest TV broadcaster ProSiebenSat.1 Group, is bringing its most rewarding competition for businesses, SevenVentures Pitch Day (7VPD), to DLD NYC for the very first time. 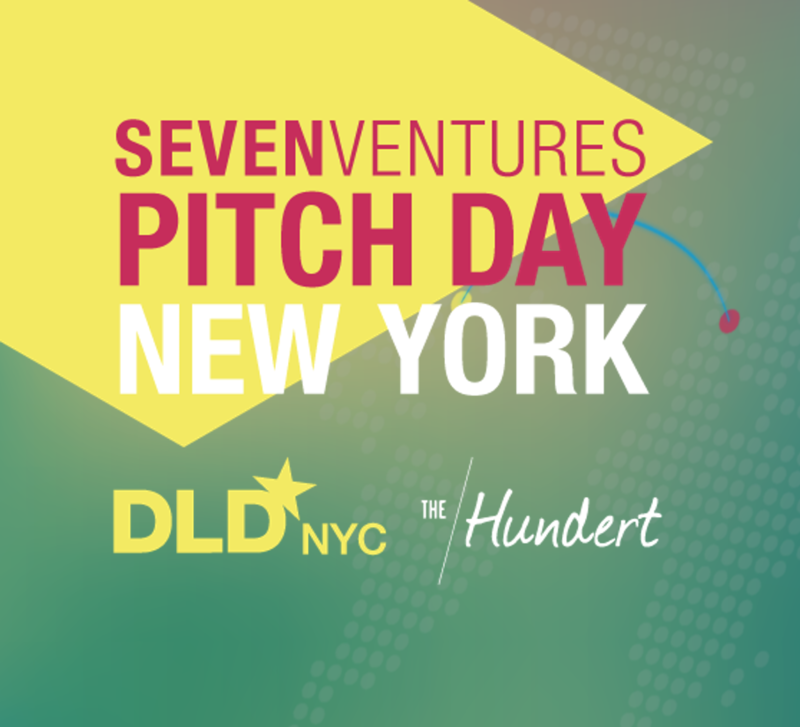 New York, NY—April 3rd, 2017—SevenVentures, the investment arm of Germany`s largest TV broadcaster ProSiebenSat.1 Group, is bringing its most rewarding competition for businesses, SevenVentures Pitch Day (7VPD), to DLD NYC for the very first time. A total of three companies will be in the running to compete live on stage at DLD NYC on May 11th, 2017. These representatives will be given the opportunity to pitch their companies in front of a highly-regarded jury as well as a selected audience of entrepreneurs and business owners. “In an accelerated world, well established companies should not miss the right moment to expand their business to Germany as a bridgehead and then throughout Europe. If they hesitate, cloned ideas will appear and entry barriers go up. The 7VPD is the perfect accelerator for this expansion,” said Florian Pauthner, CEO of SevenVentures. As a prize, SevenVentures is providing a full-service media package composed of a professional TV commercial and 300K Euros TV advertising spend on the seven free TV channels of ProSiebenSat.1 Group. The NYC winner will also join the main SevenVentures Pitch Day at the DLD Berlin conference in October 2017 with the chance to win 3 million Euros worth of TV media. In addition, SevenVentures will facilitate the production of a custom-tailored TV spot to enable the winning company’s reach to customers in a targeted manner on the TV group’s channels. Founders from around the U.S. can register to win the media package worth millions at www.sevenventures.de by April 19th, 2017.